Andrzej Karmasz is a painter and a photographer. 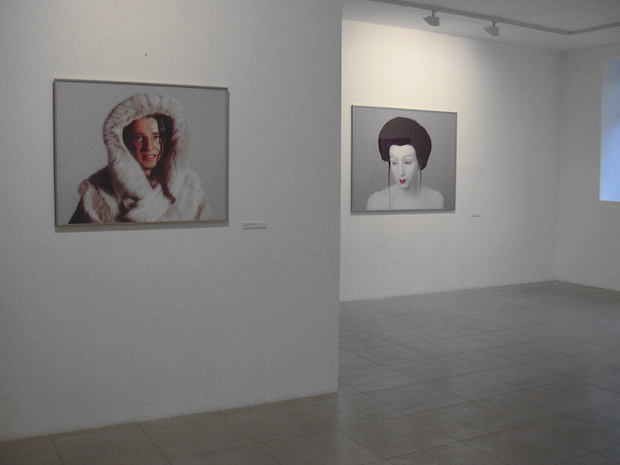 In the cycle “Hybrids”, the artist presents various cultural identities. 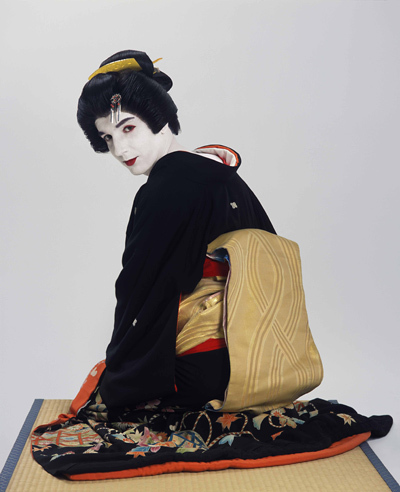 We see him in geisha costumes, acting in the traditional role of a Chinese woman, as well as in the ritual of creating a Maori tattoo, called Moku. His transformations are preceded by deep studies of culture, habits, human daily behaviours and rituals, largely based on his studies in Japan and travels around China. He himself experiences both the opportunities and restrictions of cultural assimilation. As long as the artificial personalities he produces are just a mask, we can talk about identification with a created image, what the artist calls a feeling of “ethnical fusion”. Karmasz plays women’s roles, masquerading in a dimension of identity in his metamorphosis and highlighting relations between the sexes, crossing the divisions. 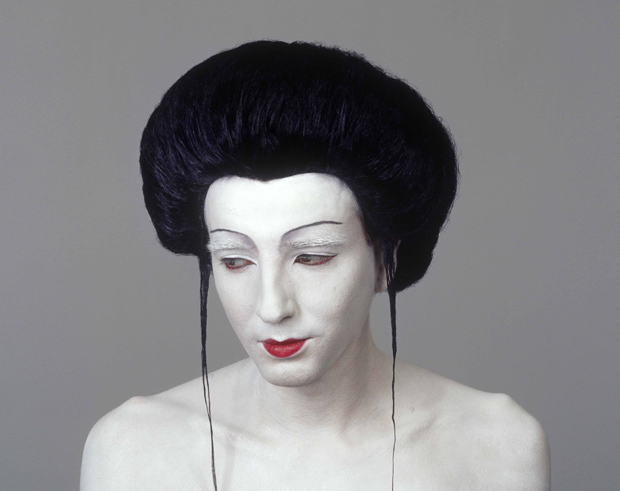 Sexual camouflage is the practice of artists fascinated by the immortal myth of Androgyne. 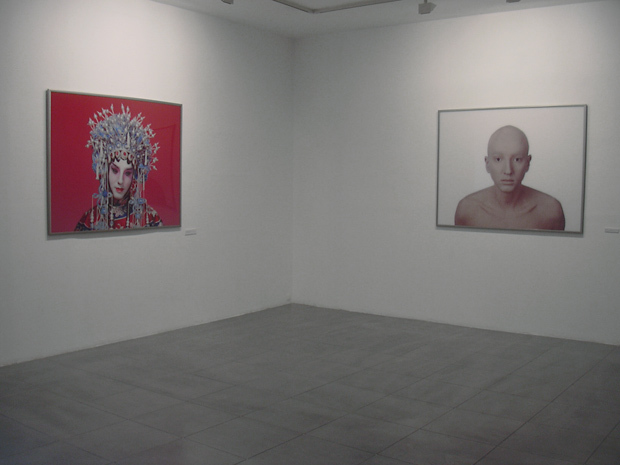 More radical artistic strategies include transsexual manifestations by the creators of 20th century avangarde art. 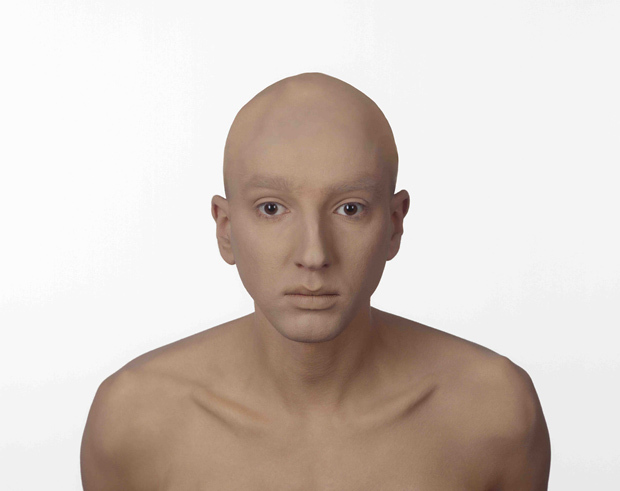 Karmasz’s images are a way for him to look at himself, but what is more important, his identity is shown in a different light and played in the different roles.